Trapunto has been inspired by a technique, dating back to the 14th century, when patterns were basted in a double layer of cloth. The modern Trapunto consists of embossing and cutting away the top layer and embroidering straight stitches. 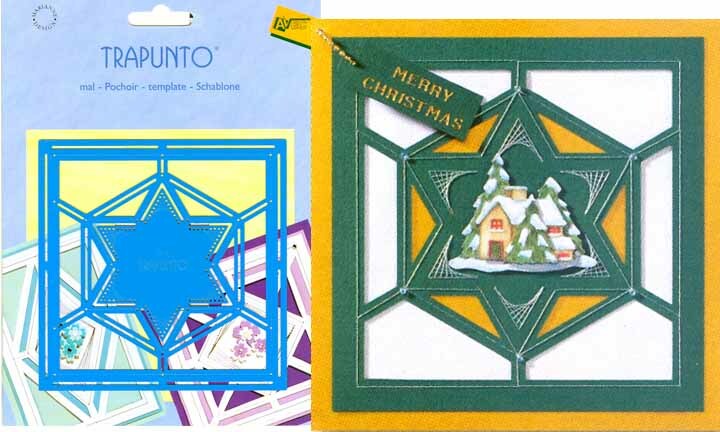 The cards or scrapbook pages can be finished off in all sorts of decorative ways. Template measures 5" x 5". This product is shipped from our warehouse in Ogdensburg, NY, USA.